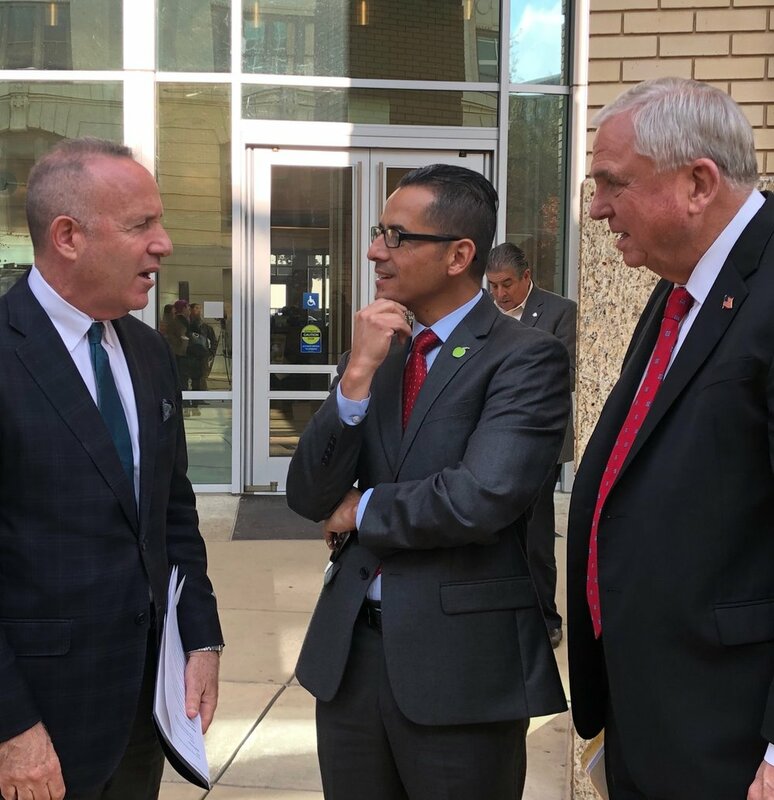 Mayor Darrell Steinberg (left), with Jorge Aguilar, superintendent of the Sacramento City Unified School District, and Sacramento County Office of Education Superintendent David Gordon. Regarding the article on The Sacramento Bee website today, I want to say that I fully support Sacramento City Unified School District Superintendent Jorge Aguilar. He is dynamic, committed, and focused like a laser on what truly matters: genuine equity for all our children. We need him to succeed. He inherited a severe financial crisis. Our city needs all the district’s key partners — teachers, classified employees, parents, community members, and students— to rally behind a common cause. Get through this crisis, make hard choices, and prepare for a better day when the district can begin to reinvest in our children. I’ve got your back, Jorge, and the city and I stand ready to help.